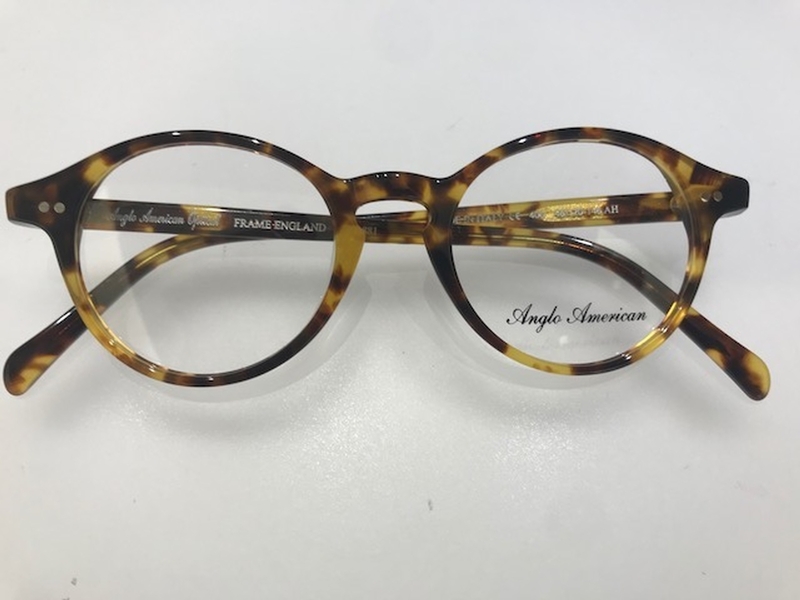 Round Eyeglasses: The Anglo American AA406 is one of the all-time classic panto shapes. It is currently available in many colors, and four sizes. 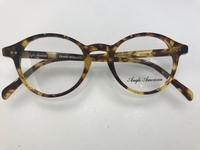 This is a classic P3 almost round frame made in England with top-quality Mazzucchelli zyl. This frame is frequently on backorder. When you place your order, we will notify you of the expected shipping date. For an even better quality frame which is in stock, follow this link to see the Dolomiti Eyewear Panto 8 frame. THE ANGLO AA406 FRAME COMES WITH A $30 LENS CREDIT when ordering with lenses. Use this discount code when you check out with lenses - $nglo30. Matching sunglass clip-ons are available for this frame. Follow this link to see the AA406 Sunglass Clip. The manufacturer has recently changed the stamping on the frames. For example, newly produced frames will be stamped with 46 to replace the older frames stamped with 47. The actual sizes of the frames have not changed however.